- Power stations and heat stations, marine industry. Special devices mounted on pipes, containers and installations for fluids transport pipes and are designed to close, distribute, control and adjust their parameters. 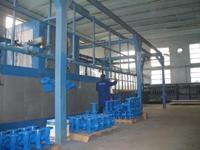 Application: steam, cold/hot water networks, oil and hydrocarbon pipes. for sizes greater or equal to DN 250 - delivered with reducer. Underground hydrants allow connecting a portable hydrant for firefighting. With over 70 years experience, VIKING JOHNSON is a world leader in the supply of exceptional products for pipe joints and repairs. Efficient pipe clamps allowing quick connection to water network. interventions to cold and hot water pipes. 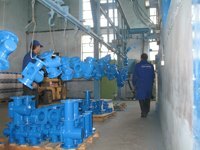 Designed to protect cold/hot water meters, heat meters, heat exchangers and others. 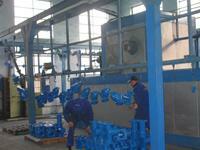 Application: steam, gas, cold/hot water pipes, non acid/alkaline fluids , LPG, compressed air tubes. 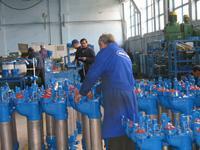 Application steam, gas, cold/hot water pipes, non acid/alkaline fluids , LPG, compressed air tubes. Application: steam, gas, cold/hot water pipes, non acid/alkaline fluids, LPG, compressed air tubes. Street drinking fountains, 3/4" connections, auto emptying and anti-freeze protection, fully equipped.